On Tuesday, August 26, the Nuclear Regulatory Commission (NRC) approved a generic environmental impact statement that clears the way for storing spent nuclear fuel for a hundred years or more (NRC Ruling). New nuclear power plants can now be built without waiting for a final nuclear waste repository to be built (NYTimes). AAEA supported the rule. As a result of this court ruling, the NRC decided to stop all nuclear licensing activities (CLI-12-016) while it developed a Waste Confidence Generic Environmental Impact Statement that would address these issues, even the possibility that a permanent geologic repository might never be built. This generic EIS would not have to be redone over and over for every site or every license. The French reprocess and reuse their spent nuclear fule. America should do the same. This should be done at Yucca Mountain in Nevada. Nuclear power plants in the United States have safely stored spent nuclear fuel for decades in spent fuel pools of water and, later, in concrete dry casks. There has never been a problem. But the centerpiece of our nuclear waste program has always been the idea of a deep geologic repository as the final resting place for nuclear waste. 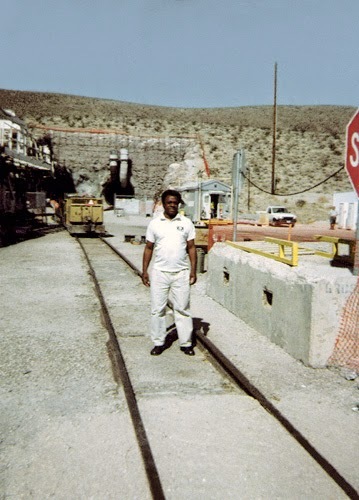 Therefore, when the Yucca Mountain deep geologic repository project was essentially canned in 2009 (killed for similar political reasons it was born from), it was a blow to the country’s confidence in our ability to handle our spent nuclear fuel. We had never thought about storing this stuff forever. The GEIS examined land use, air and water quality, historic and cultural resources over three timeframes: 60 years (short-term), 100 years after the short-term scenario (long-term) and indefinitely. It also analyzed spent fuel pool leaks and fires. So Tuesday’s approval by the NRC of this new rule on the environmental effects of long-term storage of spent nuclear fuel was enormously important. It restores the confidence that was called into question and let’s new nuclear builds and activities to go forward, once the final rule becomes effective, 30 days after publication in the Federal Register. The waste confidence issue has practical and economic ramifications. If the NRC, the agency that regulates the commercial nuclear industry, does not feel confident that the industry can take care of its waste, then they will not issue any new licenses to build any new nuclear power plants, disposal sites or any other nuclear facilities, and will not extend licenses for existing power plants. Wet storage of spent nuclear fuel in pools of water. When spent fuel is removed from the reactor it requires about five years in water to cool off and allow the short-lived really hot radionuclides to decay away completely. It can then transferred to dry cask storage (below) until needed, e.g., burned in Generation IV or V fast reactors in the near-future, or just disposed of in a deep geologic repository. It is safe in Dry Cask for over a hundred years while the fuel cools off. This ruling recognizes storing spent fuel for long periods in dry casks is safe and cheap. Dry casks completely contain all radiation. They effortlessly manage the heat. And they prevent nuclear fission (see figure). The casks resist earthquakes, projectiles, tornadoes, floods, temperature extremes and any other event we can think of, including tsunamis (NRC Casks). Cooling in the casks is passive, and the heat coming off of a loaded spent fuel cask is less than that given off by the average home-heating system. The heat and radioactivity simply decrease over time without the need of fans or pumps, or any action on our part. The only operational cost is the constant monitoring on the casks. The United States has about 80,000 tons each of spent nuclear fuel (SNF) from commercial nuclear power plants making electricity, and high-level nuclear waste (HLW) from making nuclear weapons. 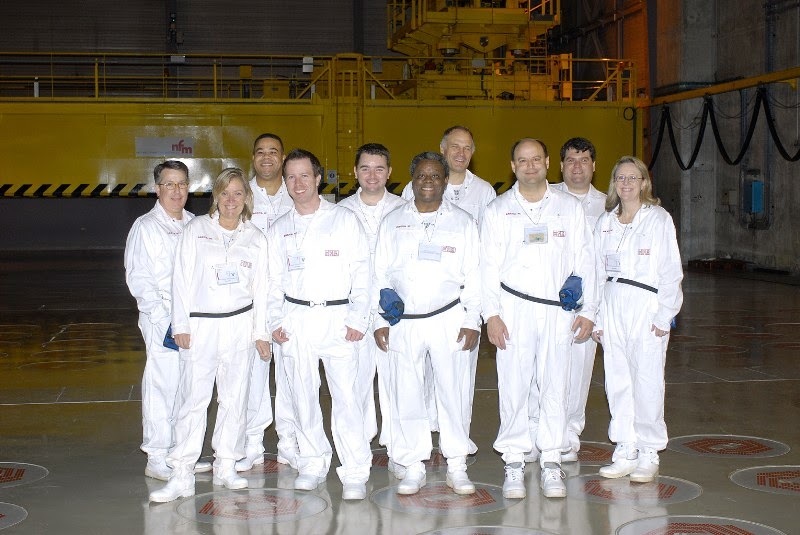 SNF from reactors is in a solid form that is easily handled and easily stored in dry casks once it is removed from the cooling pools after about five years. HLW is in different liquid, sludge and solid forms in various containments at Department of Energy facilities and has nothing to do with commercial SNF. The best things you can do with spent nuclear fuel is let it sit for a hundred years. A hundred years is a few half-lives of the two bad players – the uranium fission products cesium-137 and strontium-90. Each of these nuclides has a 30-year half-life, so after 100 years, 90% of each will have decayed away, and the waste will be much, much cooler and easier to handle, no matter what you end up doing with it. If you end up burning old spent fuel in new GenIV fast reactors, like General Atomics’ EM2 reactor, or the reactor Bill Gates is building (TerraPower), you get ten times more energy out of the fuel as you get from the first round of burning. And the new waste is radioactive for a much shorter time. If you end up just throwing the spent fuel away, it’s still relatively cool and the disposal is easier and cheaper. This new rule does not itself license or permit nuclear power plants to store spent fuel for any length of time, but it was necessary to allow these licenses to go forward under separate actions.